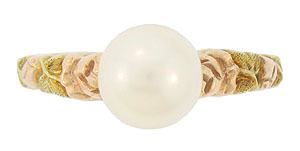 A luminous 7mm pearl glows from the center of this 14K red gold ring. 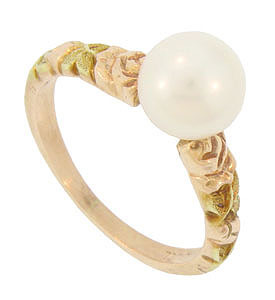 Deeply engraved roses crafted of polished red gold are interrupted by green gold leaves on the rings shoulders. 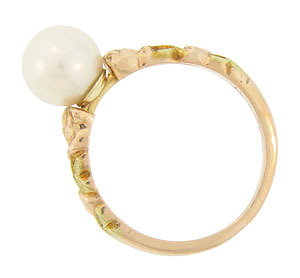 The distinctive ring measures 7.0 mm in width. Size 4 1/4. We can re-size.